I can't even begin to tell y'all how many hours of my high school life I spent in math tutoring. I did after school tutoring with my own teachers (or basically any teacher that didn't mind being in the room with me for an hour as I stared at numbers on my paper, crying "I'll never be able to do this... it's too h-h-haaard"). But honestly, the worst part of all that tutoring was just the TIME that it took. I had just spent 8 hours at school, got out at 2:15, got home at 2:45, grabbed a quick snack, then headed out the door again to be at tutoring by 3:20. Some days, you just want to come home and know you don't have any place else to be. Well, rejoice because guess what? You can now have your cake and eat it, too. 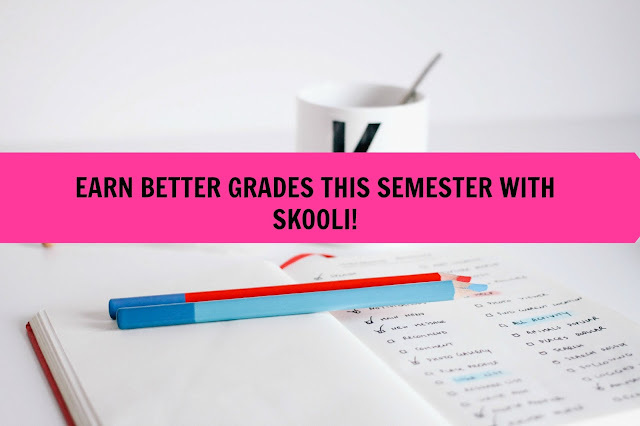 That's right... you can now come home AND get the professional tutoring you need to boost your grades with Skooli! 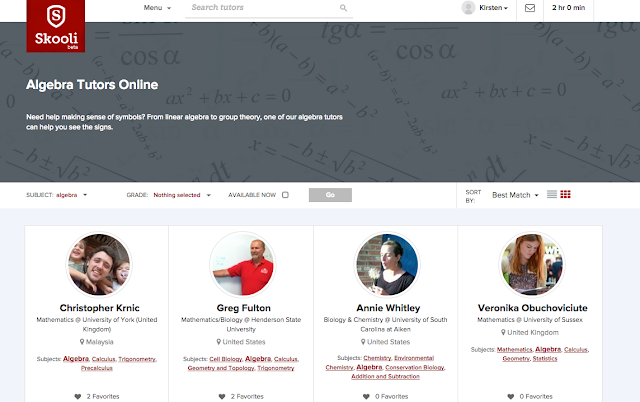 Skooli is a website that matches you up with tutors (from all over the world!) for specifically what you need! The best part? You can get the help you need while at home in your yoga pants! 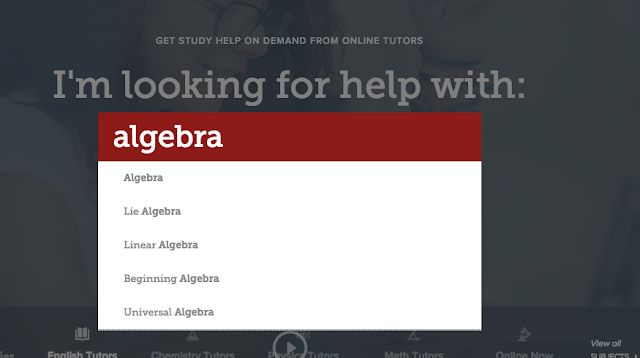 Online tutoring provides the safety and convenience that students and parents need. There is no dropping off and picking up from a tutoring center. There is no driving to and from a tutoring center after a long day or in the rain. There isn't even a risk of poor college students running out of gas on the way to tutoring! You are safely in your own home, on your own computer, on your own time schedule the whole time! You commit to just one session per tutor so you can find the perfect tutor for you! When I was in my tutoring center in high school, I never knew who my tutor for the day was until I got there. There was one tutor who could break down things really well for me (and deal with all my tears). The others were too vague, too broad, or explained things in a way that didn't work for my brain. 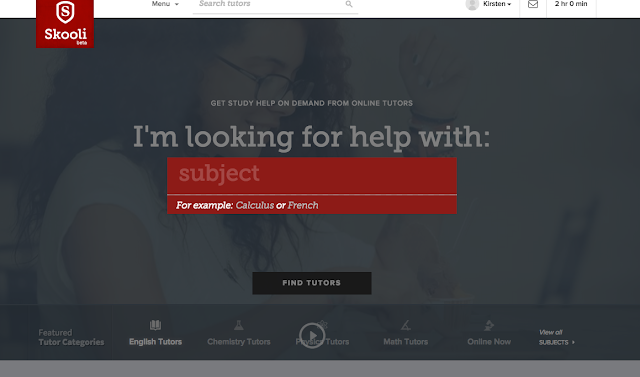 Here, you have control over who your tutor is so you can optimize your study time! Skooli confirms tutors' qualifications and educational background. Basically, enough said. But with Skooli, you can be sure you are getting the best of the best. A real teacher, with real knowledge of the content you're learning, and a knowledge of how to differentiate instruction for different learners! Interestingly enough, Skooli is one of the only online tutoring services that actually does this! That's right. If you're a parent, you can can sign up and create an account for your child. 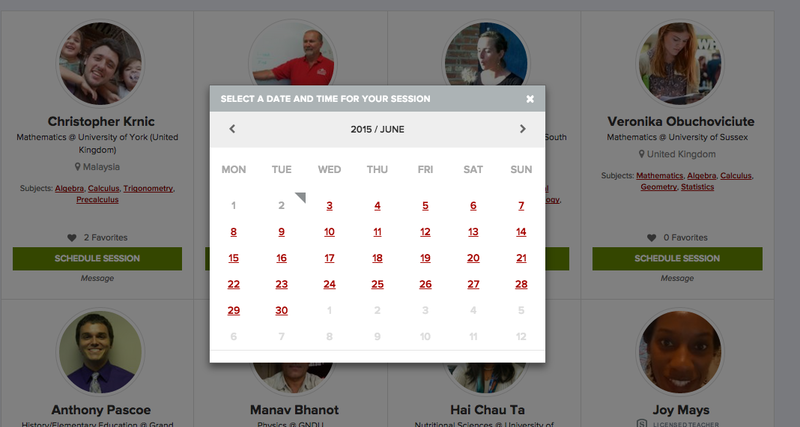 This gives you the control to choose the tutor(s) who works best with your child, schedule times that are convenient to your family/work schedule, and view your child's progress (without having to schedule and show up for another conference). So, how does it work? Let me walk you through what to expect! STEP 1: Start out by heading over to the website and easily creating your own account! STEP 2: Time to get started! Yes, it's that easy. 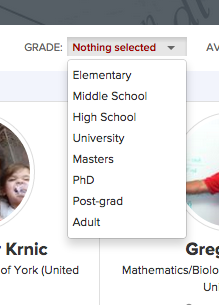 Just type in whatever subject you need help with! 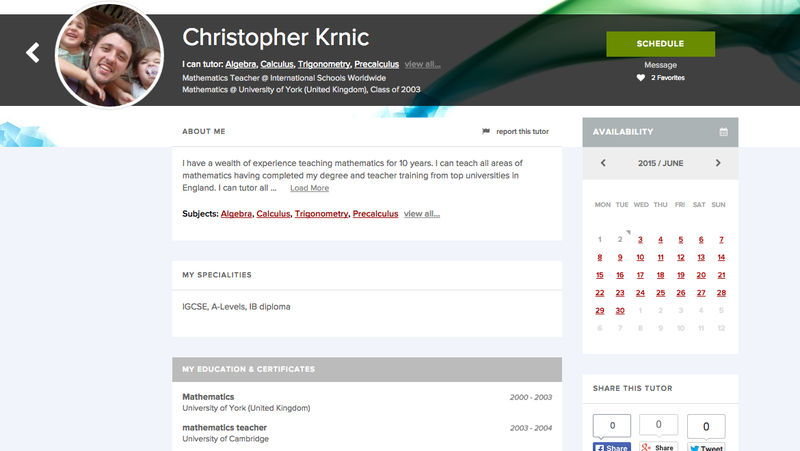 STEP 3: Skooli will provide a HUGE selection of tutors, including their bios, pics, & qualifications. STEP 4: Specify your specific education level to ensure that the most relevant tutor selection! STEP 6: Start checking out tutors to find one who's absolutely perfect to help you ace this semester! STEP 7: Use the easy scheduling too to choose the most convenient time for YOU! - Fast and responsive (aka no messages like "waiting for page to load" or "buffering") YAY! 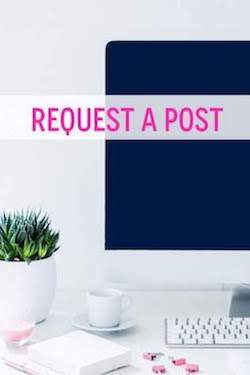 - High quality video and audio to clearly connect you with the best teachers in the world! - Progress tracking so that you can set study goals and track your progress to achieve them! 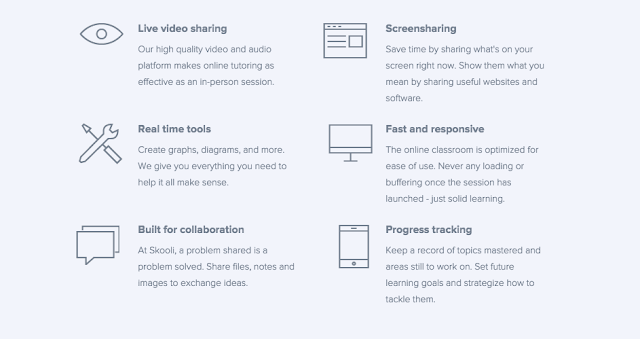 - Real time tools so that you and your tutor can draw, create graphs, or whatever you need! - Screensharing. Show websites where you found info, your citations, spreadsheets, etc! - Share files, notes, images. That paper you're working on, your math study guide, anything! Did you try any tutoring last semester? How did it go? Do you think that Skooli would be a better alternative to traditional tutoring centers? Share your experiences below!